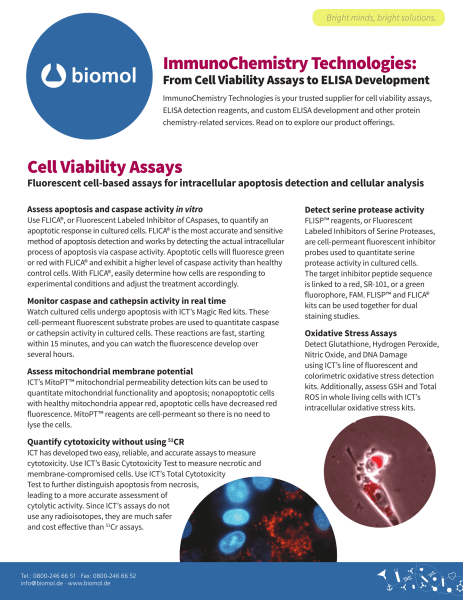 ImmunoChemistry Technologies is your trusted supplier for cell viability assays, ELISA detection reagents, and custom ELISA development and other protein chemistry-related services. Read on to explore ICT´s product offerings. Released June 2017.